Saturday 3 August 2013. All photos by Clare Boyd-Macrae. 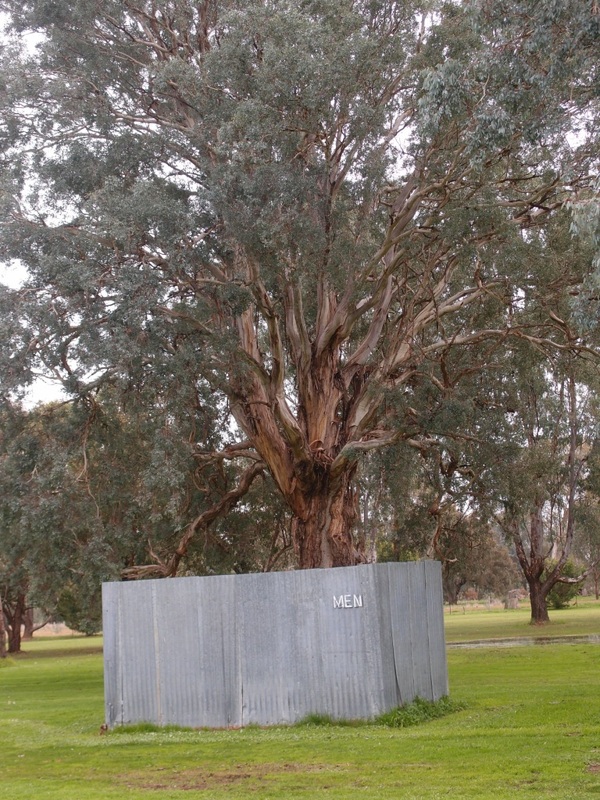 A Tarrawingee team first played footy in the 1880s. In 1903, the Tarrawingee Football Club was one of the foundation members of the Ovens and King Football Association, precursor of today’s Ovens and King Football and Netball League. 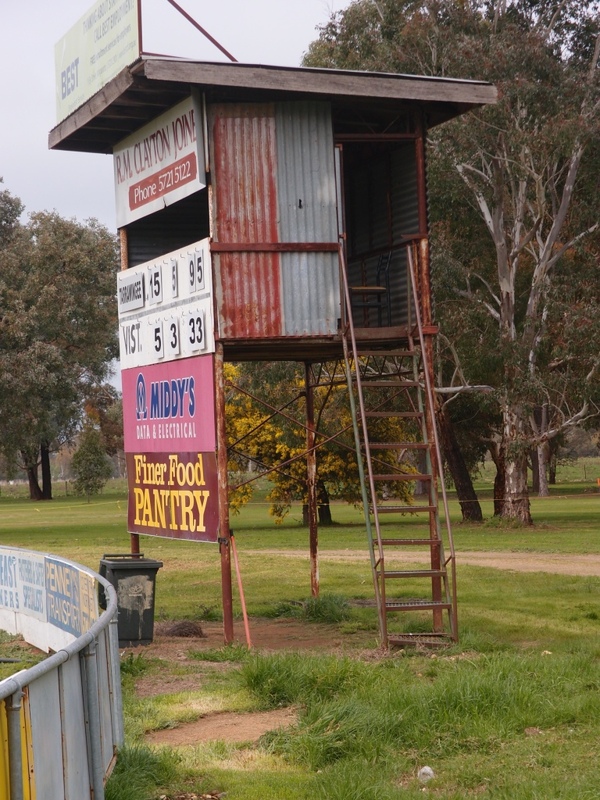 The Bulldogs opponents include Goorambat, Glenrowan, Tatong, Moyhu, Bonnie Doon and Yarrawonga. Moyhu – and The Coodabeen Champions – were the visitors when Clare Boyd-Macrae took this photo last Saturday morning. Clare writes about her visit on her blog: We pay our admission fee at the rickety entry booth, pass the girls’ netball courts on the right, park the car and wander over to the main pavilion, past the guys making ‘Egg and Bacon Rolls $4.00’ and the ladies selling cuppas and lollies…the Coodabeens interview an guy who, my husband tells me, is St Kilda legend Bob Murray. His face is like a relief map of craggy hills and valleys and he has an iron grey moustache. He dons his headphone/mike set looking as dour as an old Scottish Presbyterian, but once he starts talking, we start chuckling and his much-lived-in face lights up with a wry, sweet smile. Clare Boyd-Macrae is a Melbourne-based author and writer. She rarely writes about football, preferring to concentrate on more spiritual matters. Visit Clare’s blog for the full story of her visit to Tarrawingee. 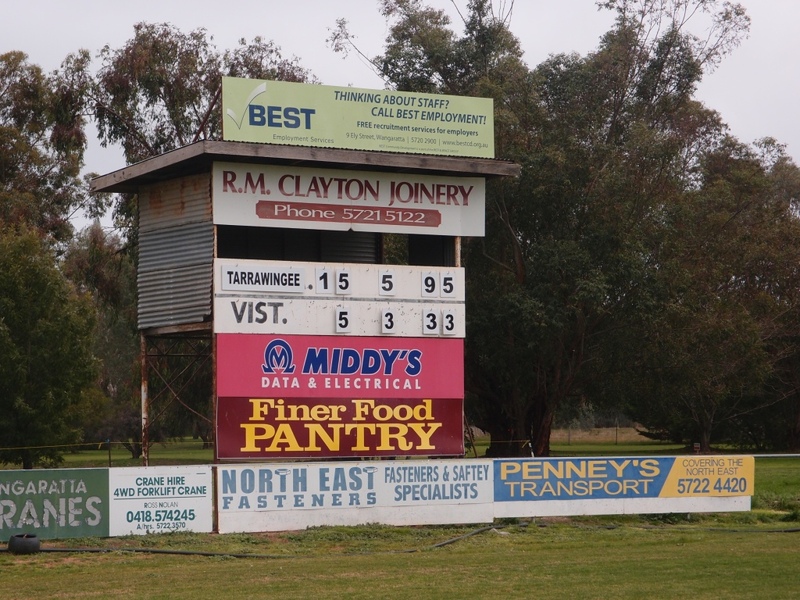 Visit Australian Football for more about the history of Tarrawingee Football Club.